Stocker & Yale Model 40 DCD Stabilite Illuminator 3 Optic Light Attachment . 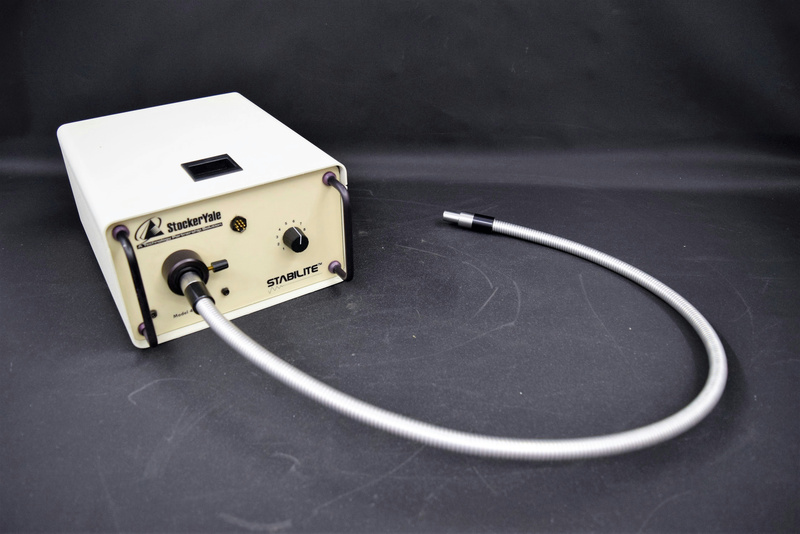 New Life Scientific, Inc.
You are looking at a Stabilite Illuminator with light attachment. NLS staff power this instrument on and noted that the light illuminates. No further testing was performed. This product is in good cosmetic condition, but may have minor signs of age. Minimal cosmetic wear, in good working condition.